My original tumblr post was here. This image was originally posted on tumblr by Steampunk Girl. My original tumblr post was here. This image was originally posted on Tumblr by SteamPunk Girl with this source link. A mark in the picture directs us back to the site The fabulous life of Ophelia Overdose. My original tumblr post was here. This image was originally posted on Tumblr by So steampunky. It is a painting by Philippina artist Iyan de Jesus, who has a tumblr here and a DeviantArt site here. My original tumblr post was here. This image was first posted on Tumblr by SteamPunk Girl with this source link. Tumblr favorite #2736: Watch out for that octopus! My original tumblr post was here. This image was originally posted on Tumblr by SteamPunk Divas. My original tumblr post was here. 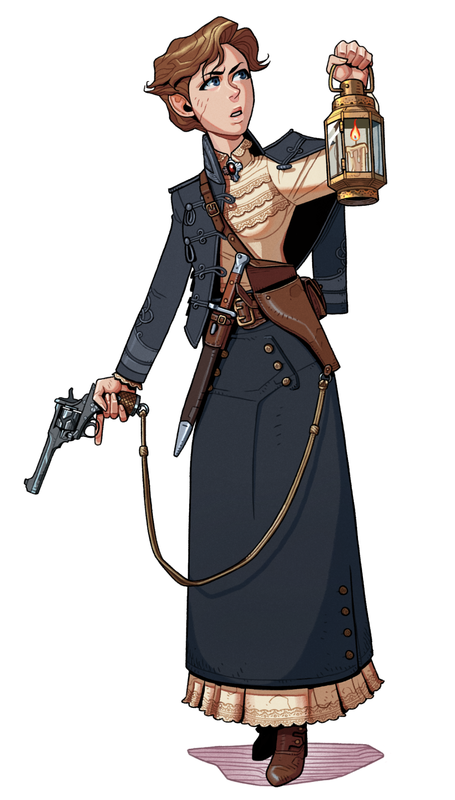 This image was first posted on Tumblr by SteamPunk Girl with this source link. The image contains a mark for Tiffany Ireland Photography, which appears to be this outfit here. My original tumblr post was here. This image was originally posted on Tumblr by SteamPunk girl with a source link Steampunk Girl. It comes to us via Just Me. My original tumblr post was here. This image was created and posted on Tumblr by ThDark’s Blog of Art and Things with the comment “Another drawing in my “Characters vaguely from the early 20th century with some sort of weapon” series. (The revolver here is the Webley-Fosbery Automatic Revolver, which is a really interesting design! )” It comes to us via turner-d-century. 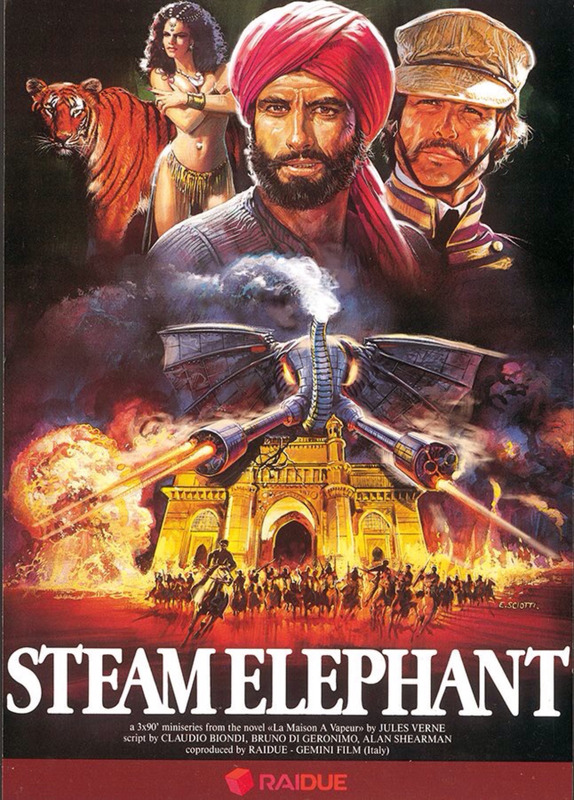 Tumblr favorite #2590: STEAM ELEPHANT…because why not? My original tumblr post was here. I have been unable to establish that this purported series is not a joke. The image was originally posted on Tumblr by Reginald Juice. My original tumblr post was here. 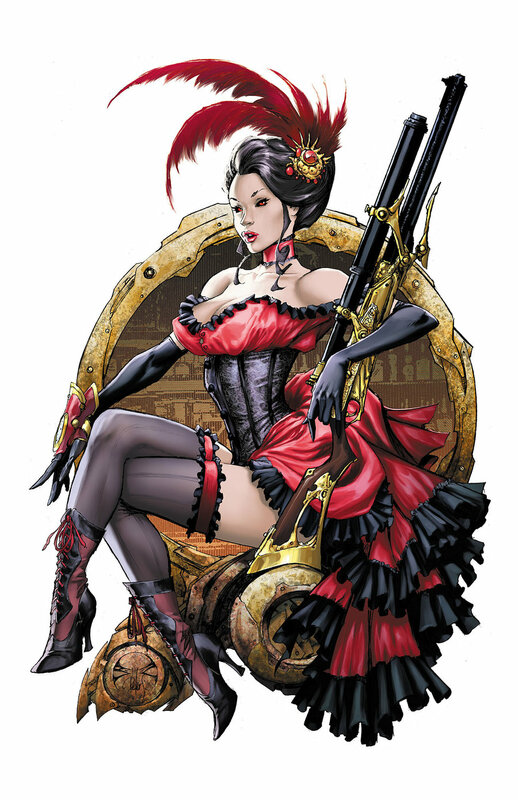 This image is Lady Mechanika Saloon Girl by Joe Benitez, who also has a professional site here. 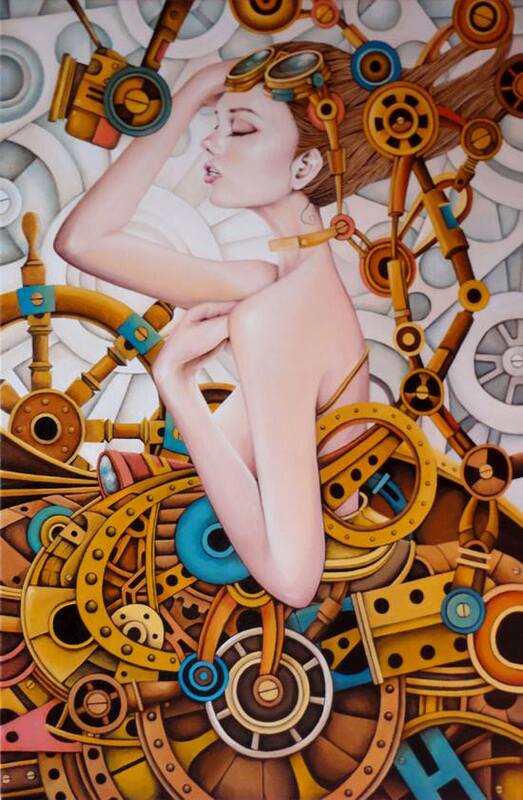 This image was originally posted by steampunk-art and comes to us via steampunkporn.